Yesterday we visited a remarkable bakery which is located in Nanuet, New York. 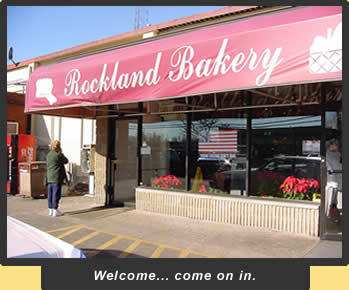 The enticing aroma of baking bread guided us to the front door of the Rockland Bakery. 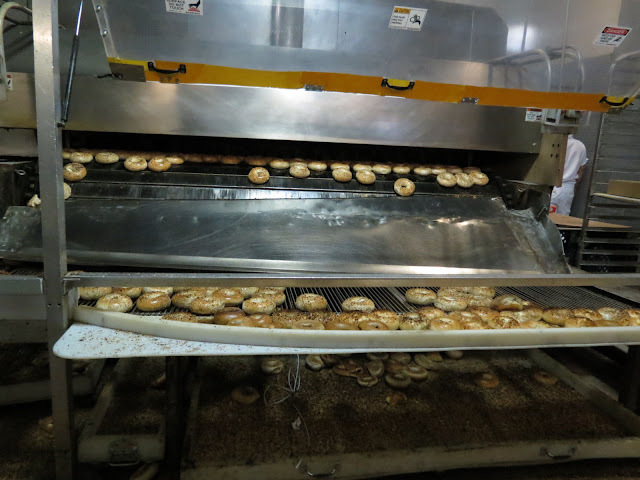 It is a wholesale bakery which allow customers to enter the "factory" and pick fresh out of the oven baked goods almost right off the conveyor belts. We picked up our large brown paper bags and plastic gloves on the way in. Mmmm don't they smell good? 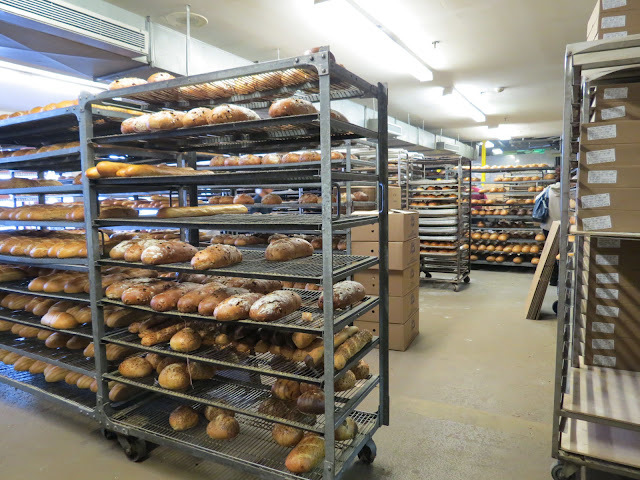 Cranberry raisin bread and loaves of Kalamata Olive made into our bag. Pretzels to eat on the way home. YUMMY! 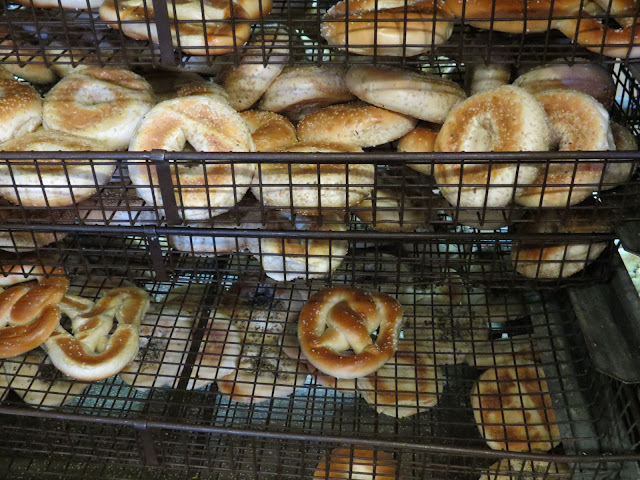 Fresh bread is probably at the top of my favorite food list - fresh whole wheat something or other -- and how do you do the video thing? Is that with your new camera? Fabulous! I can almost taste those bagels!!! Your choices sound fabulous! Yum Yum!!! !